Does The Colorado District Attorney Have To Turn Over ALL Of Their Evidence? Colorado Traffic Stops Arrests And Automobile Searches – What Are The Rules? Under Colorado Law – Can The Police Just Enter My Home Without A Warrant? Can An Illegal Police Traffic Stop Lead To An Arrest Because Of An Old Warrant? Colorado Drug Probation Testing – Oral Swab Drug Tests – Are They Accurate? 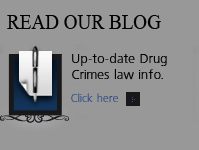 FAQ: Colorado Criminal Law – What Federal Consequences Result From a Felony Drug Conviction? Colorado Bail Bond Law – Understanding The Unlawful or Unfair Use of Bail Schedules and “No Bond” (Denial of Bail) Holds. A Denver Colorado Criminal Lawyer Asks – When Can The Police Enter My Home To Arrest Me? Colorado Criminal Law Series – Continuances – Can I Change Lawyers? Colorado Drug Crimes – Possession of Analog – (Analogue) Drugs – A Controlled Substance? Colorado Criminal Law – Am I In Custody – Am I Under Arrest – Do They Need To Mirandize Me With The Miranda Warnings? Colorado Criminal Juvenile Law – What Happens If My Child Is Not Given and Waives His/Her Miranda Warnings During An Interrogation? FAQ: How Should I Act In The Colorado Courts? How Should I Dress? What Should I Say? Colorado Criminal Law – Why Is The Motive For A Crime Not Required To Prove The Crime? Colorado Bail Bond Laws may be positively changed in the new few months if a new law is passed in the Colorado state legislature. This new law presently deserves our support. District attorneys throughout Colorado have used a little known provision in Colorado listed under the bail bonding section of the criminal code – to pressure defendant’s in what would be triable cases, (cases with a clear and viable defense), into taking plea bargains. This can only be called a bail bond injustice. Let’s have a look at the law. (1) A person who is released on bail bond of whatever kind, and either before, during, or after release is accused by complaint, information, indictment, or the filing of a delinquency petition of any felony arising from the conduct for which he was arrested, commits a class 6 felony if he knowingly fails to appear for trial or other proceedings in the case in which the bail bond was filed or if he knowingly violates the conditions of the bail bond. (2) A person who is released on bail bond of whatever kind, and either before, during, or after release is accused by complaint, information, indictment, or the filing of a delinquency petition of any misdemeanor arising from the conduct for which he was arrested, commits a class 3 misdemeanor if he knowingly fails to appear for trial or other proceedings in the case in which the bail bond was filed or if he knowingly violates the conditions of the bail bond. (3) A person convicted under this section shall not be eligible for probation or a suspended sentence and shall be sentenced to imprisonment of not less than one year for violation of subsection (1) of this section and not less than six months for violation of subsection (2) of this section. Any such sentence shall be served consecutively with any sentence for the offense on which the person is on bail. (4) A criminal action charged pursuant to this section may be tried either in the county where the offense is committed or in the county in which the court that issued the bond is located, if such court is within this state. It is – as of the date of this post -March 26th In the House Judiciary Committee. Understanding Bail laws is difficult enough. Colorado’s laws are a throw back to decades ago and reflect the influence of the “bail industry” in Colorado on our state laws. This bill is a step in the right direction. The bill would repeal section 3 of the above law. As of this writing – under the present law -, a person who is convicted of the crime of violation of bail bond conditions must be sentenced to mandatory incarceration …that means prison for felony convictions and jail for misdemeanor convictions. As if mandatory incarceration without the possibility of probation were not bad enough – (thus removing the judge’s discretion to decide whether jail is even appropriate) – the crime also requires mandatory consecutive sentencing. That means the prison or jail sentence must FOLLOW the sentence for which the individual was on bond. The new law – if it is enacted – would repeal section 3 of the law – the most punitive section of the law – the mandatory sentencing provisions. It would leave in place the normal sentencing range for the violation of bail bond crime.. Thus returning to the judge – the right to decide the sentence. This Bill deserves our support..
H. Michael Steinberg has been a Colorado criminal law specialist attorney for 30 years (as of 2012). For the first 13 years of his career, he was an Arapahoe – Douglas County District Attorney Senior prosecutor. In 1999 he formed his own law firm for the defense of Colorado criminal cases. In addition to handling tens of thousands of cases in the criminal trial courts of Colorado, he has written hundreds of articles regarding the practice of Colorado criminal law and frequently provides legal analysis on radio and television, appearing on the Fox News Channel, CNN and Various National and Local Newspapers and Radio Stations. Please call him at your convenience at 720-220-2277. In the Denver metropolitan area and throughout Colorado, attorney H. Michael Steinberg provides quality legal representation to those charged in Colorado adult and juvenile criminal matters. 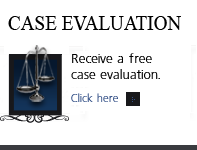 The Colorado Steinberg Criminal Defense Law Firm serves clients charged with criminal offenses in the Denver Metro Region and throughout Colorado, including Adams County, Arapahoe County, Boulder County, Broomfield County, Denver County, Douglas County, Jefferson County, Larimer County, El Paso County, Pueblo County, Weld County and Grand County; and communities such as ; Centennial, Denver, Boulder, Aurora, Lakewood, Littleton, Westminster, Thornton, Northglenn, Brighton, Greenwood Village, DTC, Denver Tech Center, Highlands Ranch, Castle Rock, Lone Tree, Englewood, Golden, Grand Junction and all across the Front Range. 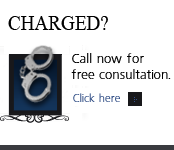 If you have questions about Colorado’s Bail Bond Laws in the Denver metropolitan area and throughout Colorado, attorney H. Michael Steinberg will be pleased to answer those questions and will provide quality legal representation to those charged in Colorado with adult and juvenile criminal matters as regards … read review.Colorado Bail Bond Laws. Colorado Criminal Law – Amendment 64 – What Happens When The Penalty For A Colorado Crime Changes?